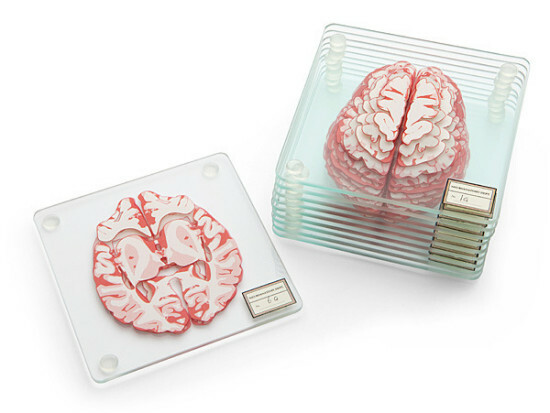 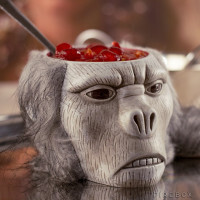 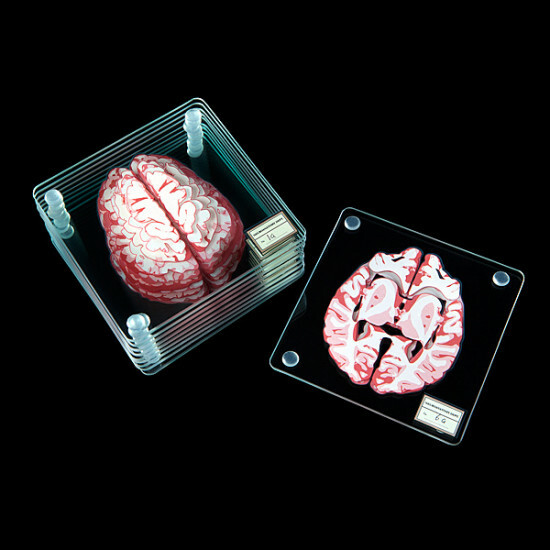 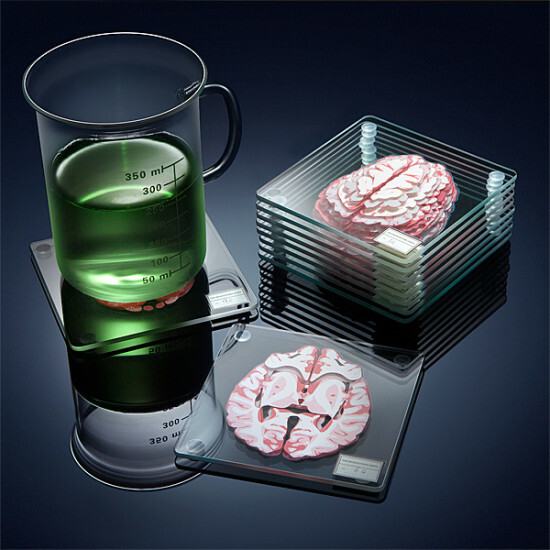 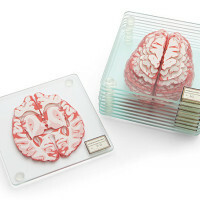 ThinkGeek has created a nifty set of brain specimen coasters. 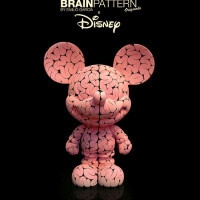 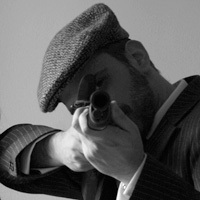 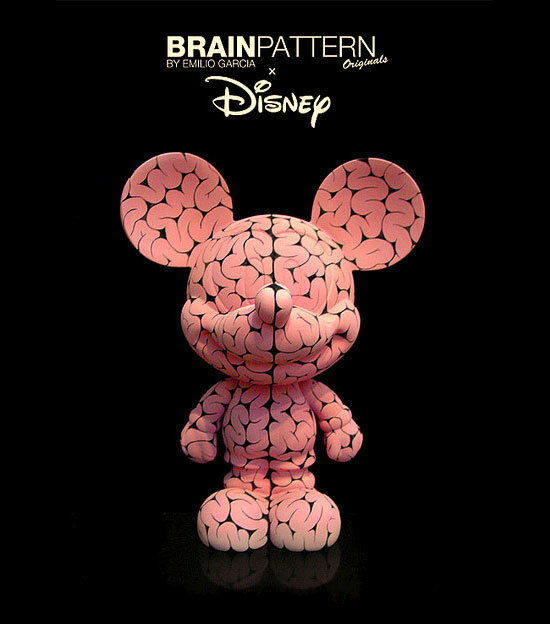 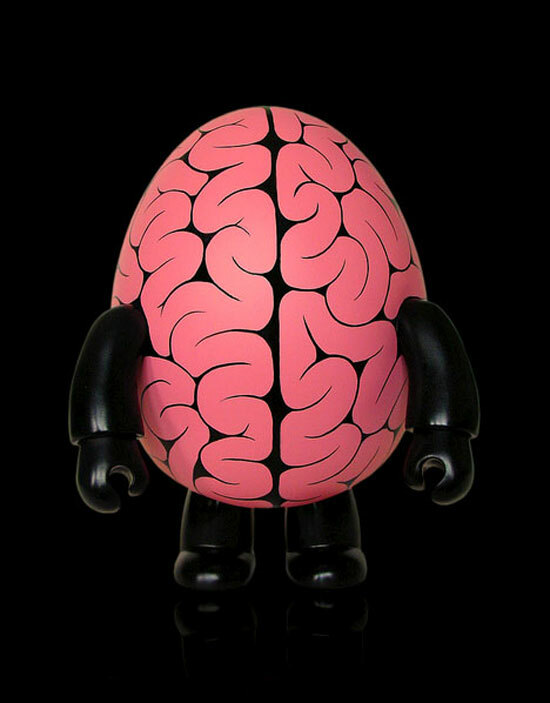 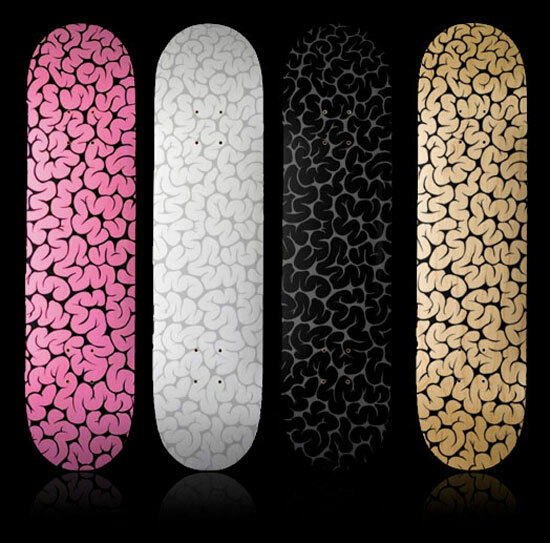 The Brain Pattern original custom series designed by Emilio Garcia. 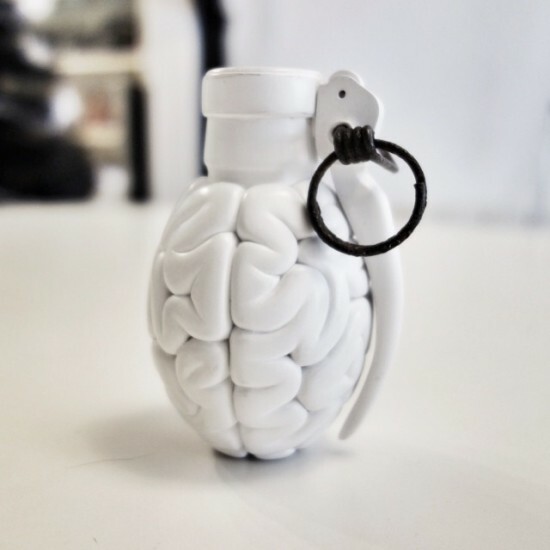 Brain Grenade is coming in 2014. 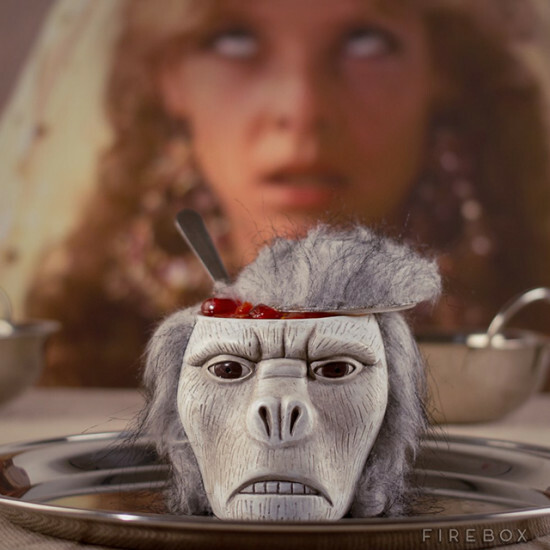 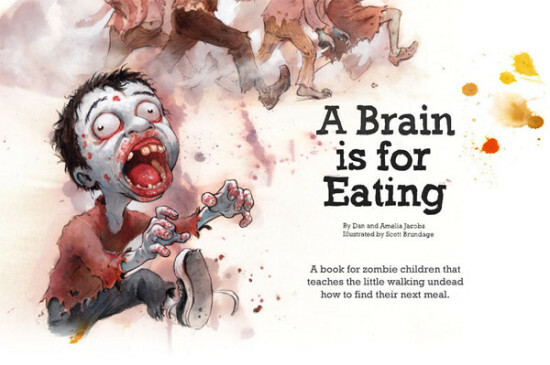 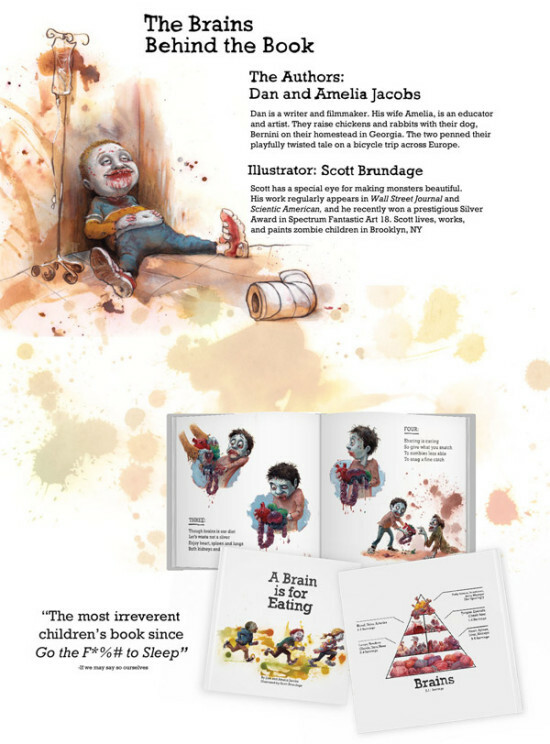 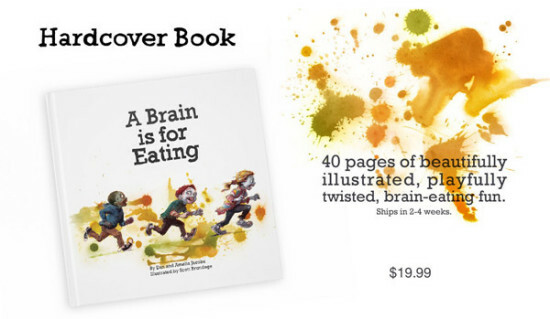 A Brain is for Eating is a book for zombie children that teaches the little walking undead how to find their next meal. 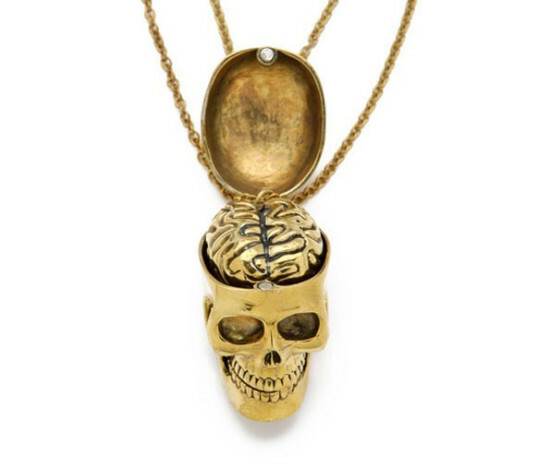 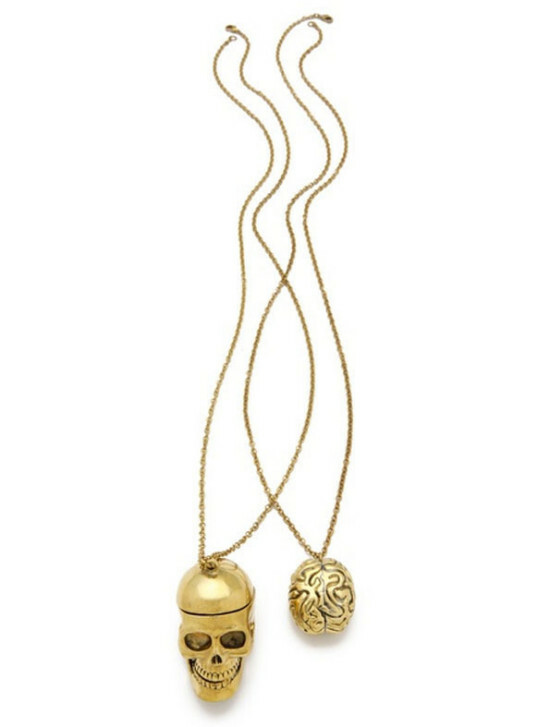 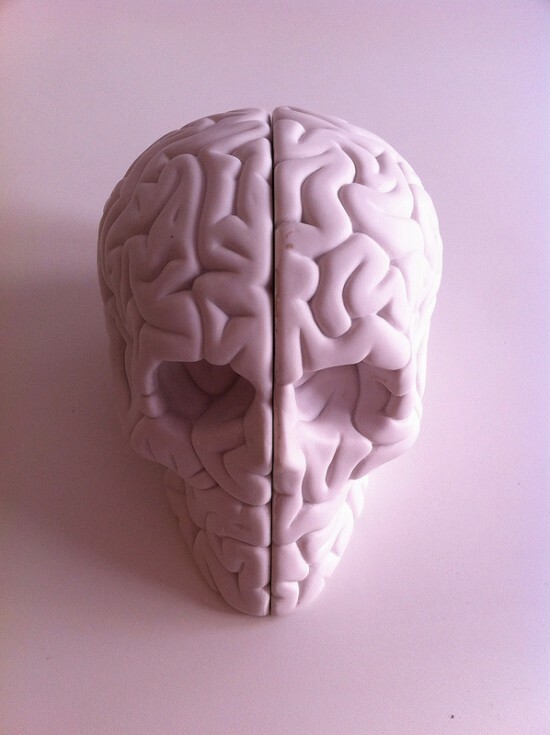 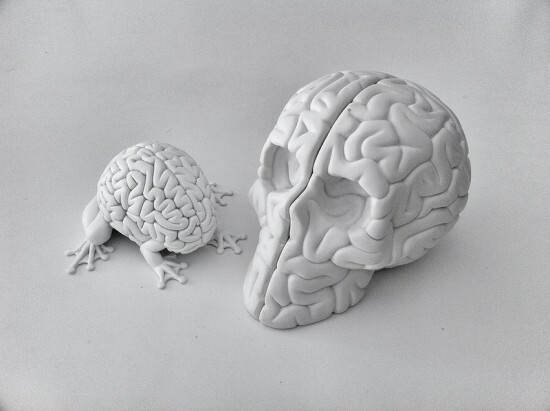 Barcelona-based artist, Emilio Garcia of lapolab just released a sneak peek at his latest creation, the Skull Brain.